Superdry men’s Vintage Logo duo t-shirt. 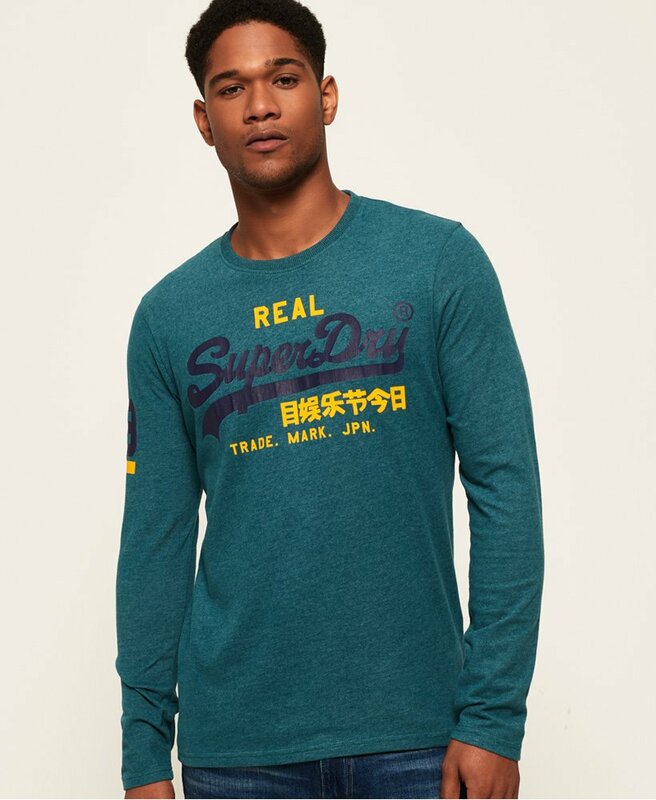 This long sleeve t-shirt features a Superdry logo across the chest and on one sleeve. Both of these are finished with a cracked effect. Wear with a pair of our skinny jeans to complete the look.